In this tutorial you are going to learn how to use eBay gift card. Go to eBay and sign into your account. This tutorial assumes that you have already purchased an item and have yet to pay for it. 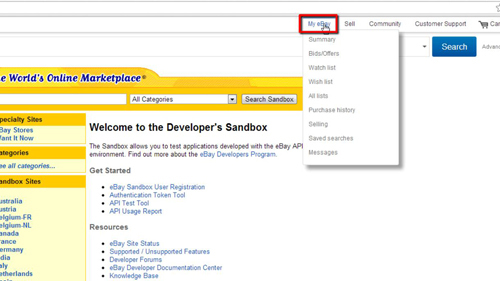 At the top of the page click the “My eBay” option and on the page that loads locate the item that you want to pay for using a gift card. To the right of the item click the “Pay now” button and you will be redirected to the checkout. Scroll down to the bottom of this page and you will see a section called “Coupons, gift cards, or certificates” – this is where you need to enter your gift card code. As this is just a tutorial we don’t have a valid gift card code, but after you have entered it all you need to do is click “Apply” and the value of the card will be deducted from your total amount. 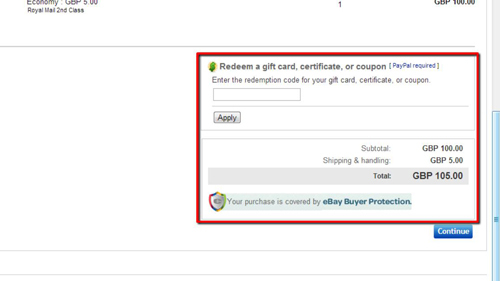 When you are ready simply click “Continue” to complete the payment and that is how to use eBay gift card.